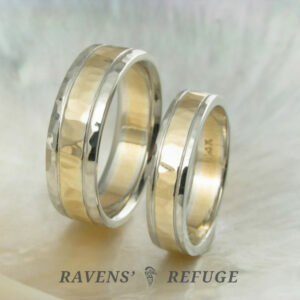 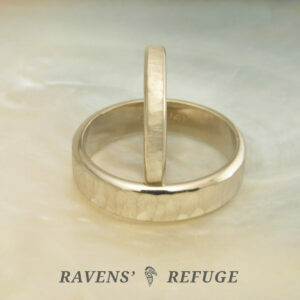 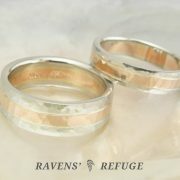 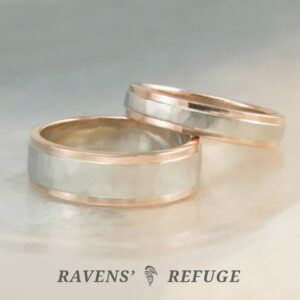 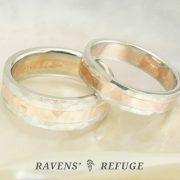 These beautiful bands are two tone, level, and hammered in entirety. 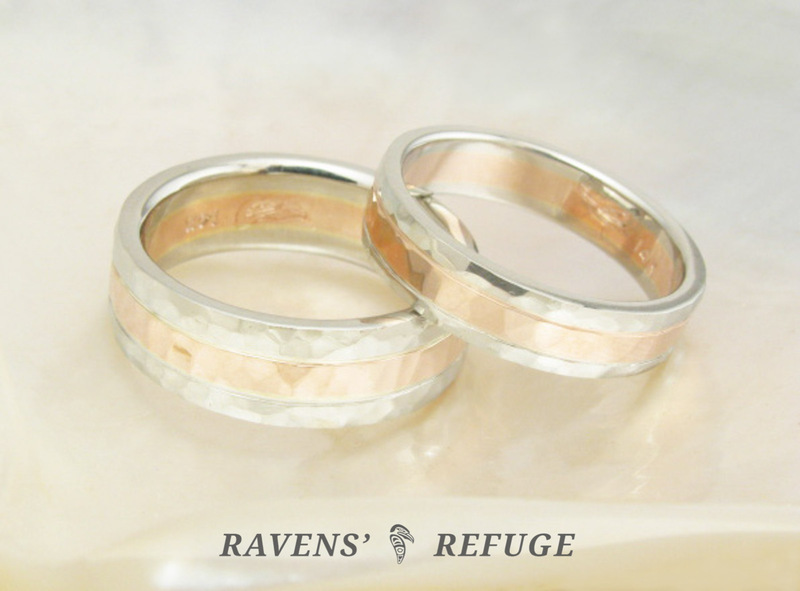 Each of these 14k gold bands is comprised of three smaller bands: a rose gold band in the center and two white gold bands on either side. 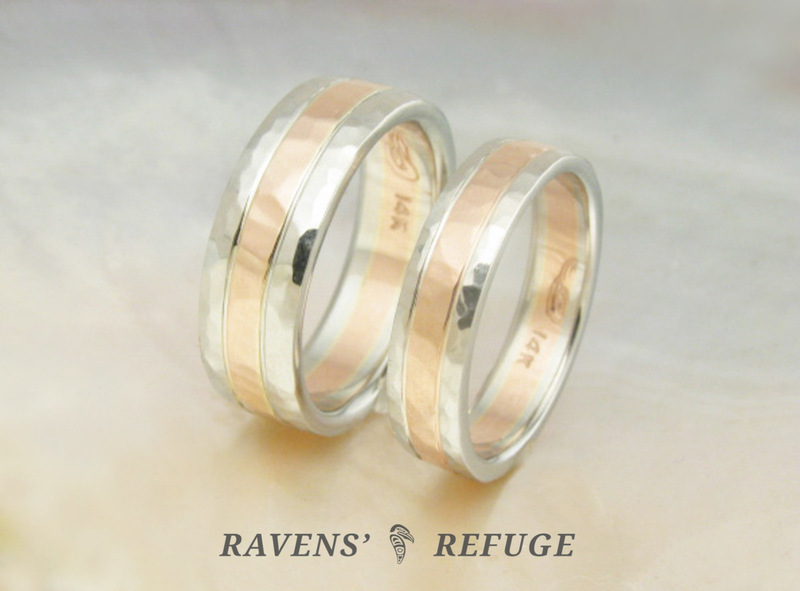 The sections of the larger band are equal in width: 2mm for each individual part. 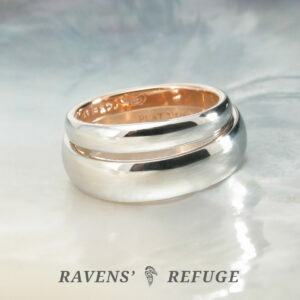 The smaller band in the set is 4mm in width and 1.5mm in thickness. 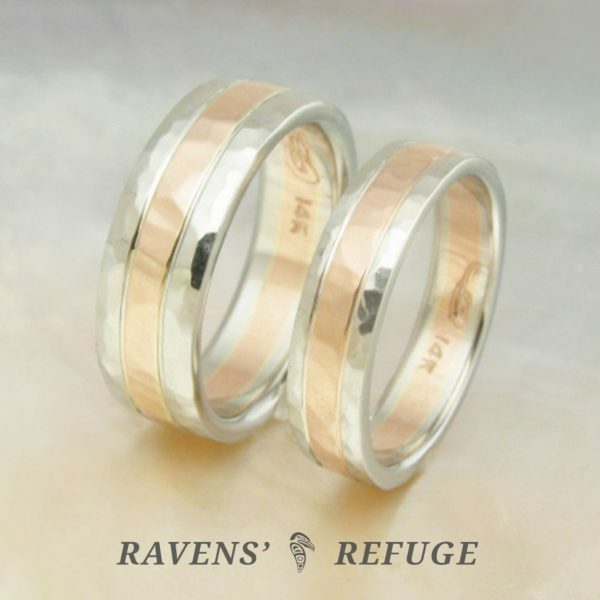 The larger band is 6mm in width and 2mm in thickness, and is finished with a comfort fit profile. 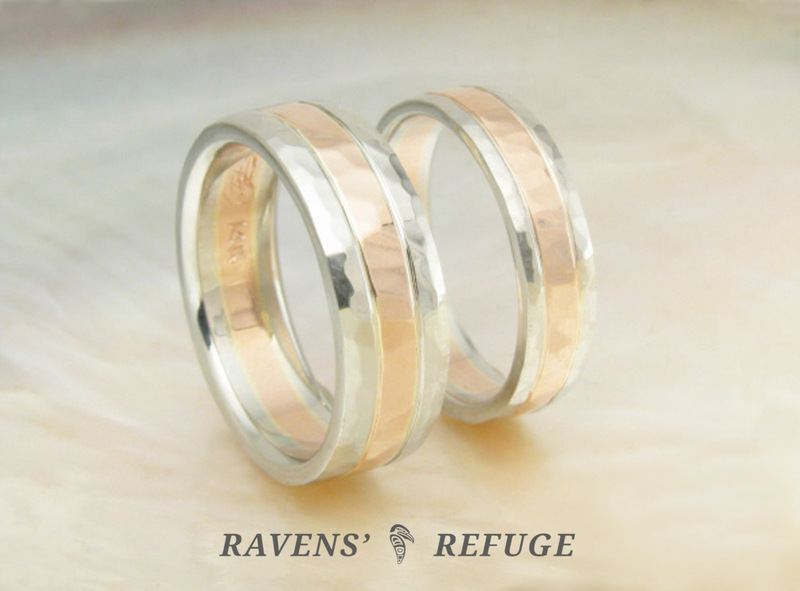 The rails of the smaller band are 1mm wide each, and the rails of the larger band are 2mm wide each. 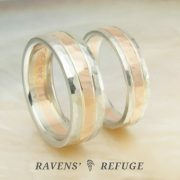 We can customize these dimensions to your preference. 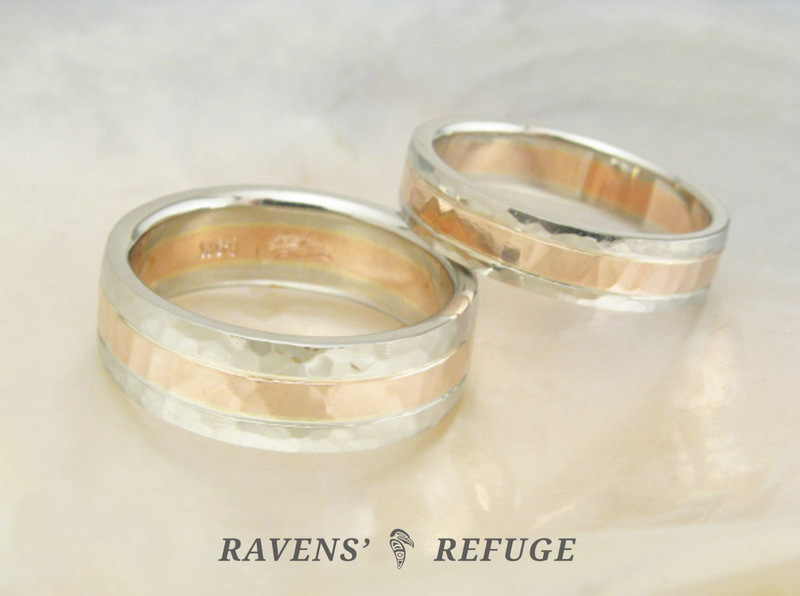 These bands are hammered in our “waterfall” style; but hammering styles shown in some of our other listings are alternative options.